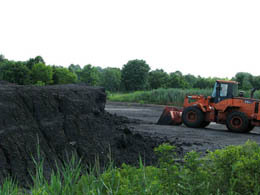 As a result of past industrial usage, there are a number of waste management areas, as well as areas of impacted soil and groundwater at the site. Over the past three decades, NJDEP and USEPA issued multiple Administrative Consent Orders (ACOs) and Records of Decision (RODs) for the investigation and remediation of the site. While significant progress has been made, investigations, engineering, design and active remediation are ongoing at the site. Information regarding ongoing site monitoring and interim projects can be found here and on the Ongoing Efforts page. Wyeth Holdings LLC (WH), formerly known as American Cyanamid Company and the current owner of the American Cyanamid Superfund Site, is working with the U.S. Environmental Protection Agency (USEPA) to implement a remedial action program at the American Cyanamid Superfund Site. WH is working under a Consent Decree with USEPA to remediate site soils, site groundwater, and a majority of the remaining impoundments, jointly designated as Operable Unit 4 (OU4). The full remedy is described in a ROD issued by USEPA on September 27, 2012. The WH team has invested significant resources in the engineering and design of this remediation program. Construction of the groundwater control, extraction, treatment, and reinjection system is complete and system commissioning is underway. To learn more about the site-wide remedy and its status, visit the Site-wide Remedy page. On September 25, 2018, USEPA issued a ROD for Operable Unit 8 (OU8), commonly referred to as Impoundments 1 and 2. The final remedy is based upon a comprehensive Focused Feasibility Study (FFS), completed by WH, which included an extensive evaluation of available environmental cleanup technologies. A detailed description of EPA’s selected remedy can be found on the OU8 page. Over the past three decades, a number of significant measures have been taken to remediate portions of the site and protect human health and the environment. The following is a summary of accomplishments at the site, including efforts completed prior to Pfizer’s involvement. For the past 30 years, a bedrock groundwater extraction well system has operated in place to control the migration of groundwater through continuous pumping and treatment. This system pumps a minimum of 650,000 gallons of groundwater per day that is subsequently treated offsite at the neighboring public wastewater treatment system. This system will continue to operate until the groundwater component of the Site-wide Remedy is constructed and operational. Remedial actions have been concluded for Impoundments 11, 14, 18, 19, 20 and 26, and each of these has been closed with No Further Action (NFA) required. Waste materials in several other areas have been remediated (including Lagoons 6, 7, 8, and 9A; and Impoundment 25). Iron oxide material located in Impoundments 15 and 16, and the former drying bed area, was excavated and transported off-site. Over 147,000 tons of iron oxide was transported off-site by rail for recycling. 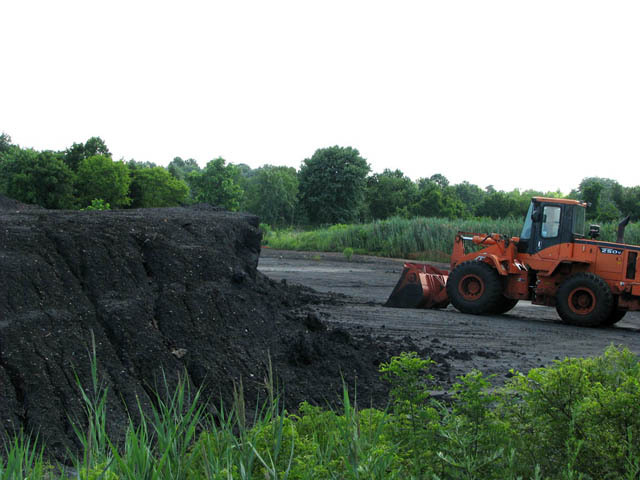 Approximately 70 acres and 1 million cubic yards of waste have been remediated to date. Approximately 10 million gallons of pumpable tars have been removed from the Site and treated through fuel blending operations and recycling/reuse. USEPA inspects Superfund sites every five years to ensure that completed cleanups remain fully protective of human health and the environment. The American Cyanamid Superfund Site Five-Year Review was completed in 2014 and is available on USEPA’s website. Over 147,000 tons of iron oxide was transported off-site by rail for recycling.